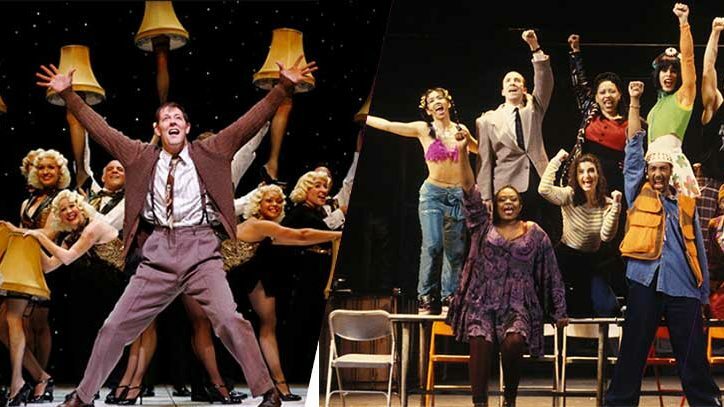 What’s new in the world of cast albums and other theater-related music? A lot. The past few weeks have been filled with a wealth of new releases that have something for just about everyone…from anyone who wants to be up-to-the-minute with what’s new on Broadway to those people who like a backward glance at the kinds of music that filled New York stages in days gone by. And, for listeners who want to be one step ahead of the game, there are some terrific concept recordings that can be found in brick-and-mortar stores or online retailers, and likewise available for digital download. 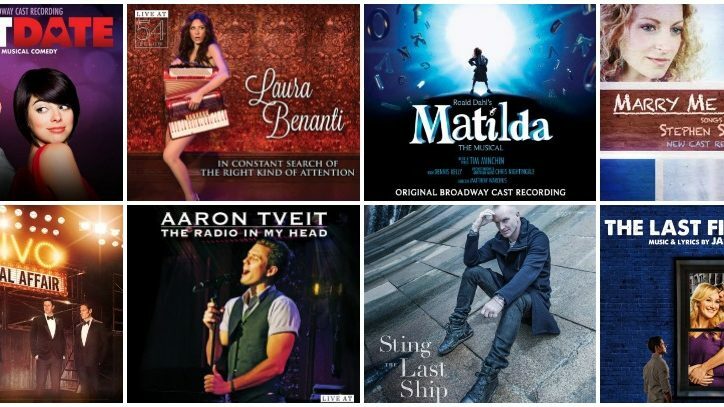 Among the new cast albums of shows that are currently on Broadway, perhaps most notable is the Broadway cast recording of Matilda (Broadway Records). This is the first time in recent memory that a British show has gotten a second recording featuring its American cast, and the differences between the two are enough to warrant having both discs on your shelves. Not only do you get to savor some new performances, including the four incredible little girls who play the title role, but there’s also some great bonus material, including the stories that little Matilda creates. The cast album for First Date (Yellow Sound Label) similarly preserves another current Broadway show, in fact the first new musical entry for the 2013-2014 season. It’s a recording that beautifully showcases both Alan Zachary and Michael Weiner’s infectious pop-infused score, which boasts some meticulously crafted rhymes, along with the two central performances from Zachary Levi and Krysta Rodriguez, who play a mismatched couple out on a blind date. One other new album of Broadway music comes from Il Divo, the heavenly-voiced quartet that has thrilled arena audiences around the globe. They’re coming to Broadway for a limited engagement at the Marquis Theatre, and in tandem with the show, A Musical Affair, they’ve released a stunning eleven-track album. The disc from Columbia Records encompasses everything from Carousel and Camelot to The Lion King and Les Miserables. Guest vocalists include Tony winners Kristin Chenoweth and Heather Headley, along with the legendary Barbra Streisand, with whom they toured in 2006. As for recordings of shows that are hoping to make it to Broadway, there’s one that has caught a lot of people’s attention: The Last Ship (Cherry Tree/A&M Records), which features a score by rock star Sting. A recording of this show about a man who’s looking to leave the English seafaring town he was raised in has just been released featuring its legendary composer and it’s a terrific blend of traditional Celtic sounds, rock, and even some gentle pop. 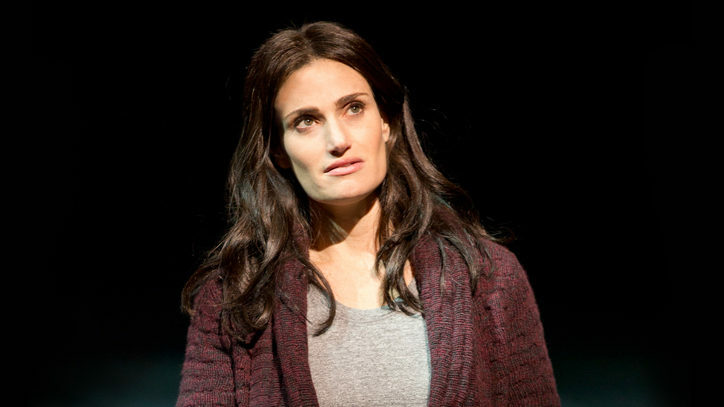 The show will have its first performances in Chicago next summer. It’s well worth a listen before then. A musical inspired by the life of renowned artist Normal Rockwell is found in the studio album for Picture Perfect (ebsoriginals.com). And though this show has yet to make it to the stage, an A-List cast for the album has been assembled that includes Mark Jacoby, Judy Kaye, Beth Leavel, Andrea McArdle, Lillias White and Tom Wopat. Gail C. Bluestone has written a baker’s dozen of songs that are as wonderfully nostalgic as the covers that Rockwell created for The Saturday Evening Post, and Eileen Bluestone Sherman’s lyrics match the artist’s blend of sweetness and comic bite. One of the most exciting and daring studio albums around these days is Lizzie (Broadway Records), a musical retelling of the infamous story of the Borden family murders in the nineteenth century. Steven Cheslik-deMeyer, Alan Stevens Hewitt and Tim Maner have written this piece that grabs you from its opening, eerie moments and thrills you with its electrifying rock-infused score for the span of not one, but two discs. With In Constant Search of the Right Kind of Attention, Tony Award winner Laura Benanti charms with her show that includes some of the songs she’s originated on stage (including the hilarious “Model Behavior” from “Women on the Verge…”) as well as pop tunes such as Joni Mitchell’s “He Comes for Conversation” and even a couple of the singer’s own compositions. The new recording of Closer Than Ever (Jay Records), the revue that celebrates the work of Richard Maltby, Jr. and David Shire, is a great companion to these two shows, as it also centers on contemporary life and romance. Jenn Colella, George Dvorsky, Christiane Noll and Sal Vivano simply sparkle on this one, and this new two-disc set also features some new material that’s not heard on the original 1989 recording. In addition to this studio recording, there are some great older cast albums that have hit the digital age, thanks to Masterworks Broadway. If you want to take a trip back to the heyday of cafe society and nightclub revelry, take a listen to either the recording of the delectable 1961 revue Seven Come Eleven or Cowardy Custard, a compendium of Sir Noel Coward’s witty tunes. Similar verbal gaiety, along with the classic “Send in the Clowns” sung by none other than Elizabeth Taylor, can also be found on the soundtrack of the movie version of Sondheim’s A Little Night Music, which has welcomely made its way to the 21st century.